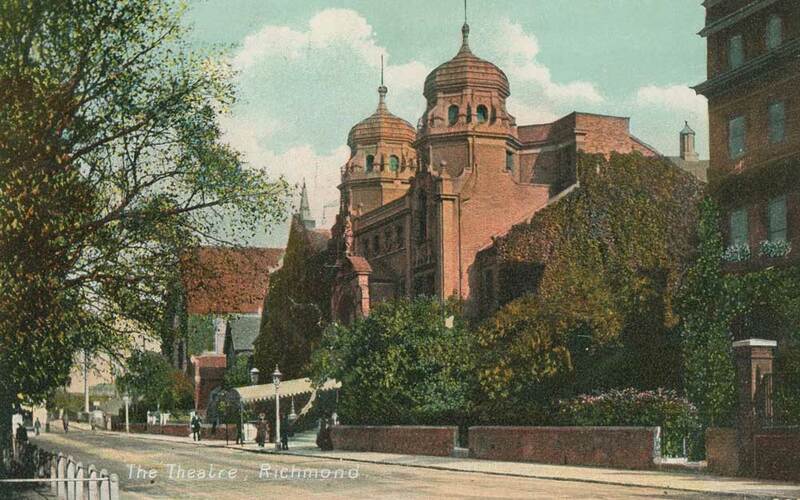 Richmond’s theatrical history certainly dates to the late 16th century when touring companies would perform in the Great Hall of Richmond Palace to audiences that included Queen Elizabeth I (the Palace was her preferred winter residence and she died there in 1603). According to some sources, the repertoire included works by Shakespeare – he might also have acted – and Christopher Marlowe. The first recorded permanent theatre was established on Richmond Hill in 1719 by Will Penkethman, a comic actor/manager with the Union Company of Drury Lane. On 31 May 1718 the St James’s Evening Post noted: ‘We hear, Mr. Penkethman is building a handsome Theatre at Richmond, for the Diversion of the Nobility and Quality.’ Exactly how ‘handsome’ the premises were is open to debate: Penkethman converted a stable-cumbarn at what is now 62-70 Hill Rise and put on plays – his speciality was broad farce – until his death in 1725. The first theatre to be located on Richmond Green (it was called the King’s Theatre and then, when George III and Queen Charlotte became patrons, the Theatre Royal), stood at the top of Old Palace Lane close to present-day Garrick Close. It was managed by James Dance, who acted under the name ‘Mr. Love,’ and opened in 1765 with a production of the Comic Opera, Love in a Village. Perhaps the high point for the theatre came in 1831 when the renowned actor Edmund Kean became the lessee. He had long cherished an ambition to manage his own company and building – Kean was particularly attracted by Richmond’s salubrious rural surroundings – and his first season began on 18 July 1831 (he died in Richmond on 15 May 1833 and is buried at St Mary Magdalene). 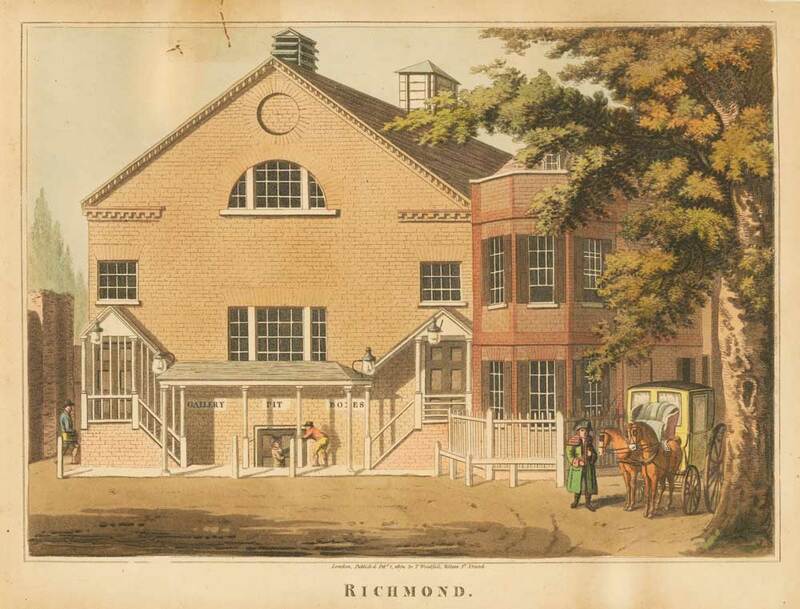 During the tenure of John Russell, the last proprietor, attendances dropped and, with fewer actors willing to play in Richmond, the theatre was closed and demolished in 1884. In 1889 F.C. Mouflet, a prominent local hotelier, decided that Richmond should once again have a purpose-built theatre. He purchased land on Little Green and commissioned a design from Frank Matcham, the leading architect of the day. The theatre opened on 18 September 1899 with a performance of As You Like It and went through several incarnations – the Prince of Wales Theatre and the Richmond Hippodrome – before becoming the Richmond Theatre.